In December 2015 Oprah popped by to see me in Sydney. Well okay, not just me – me and enough people to fill AllPhones Arena. She was here for the Turn up the volume in your life tour (sponsored by Swisse), which, based on the title and sponsor, thankfully wasn’t about vitamins or hearing problems. It was, however, a personal and poignant presentation about Oprah’s life and experiences, filled with anecdotes and lessons that, when implemented into one’s own life, could quite possibly revolutionise it. That’s not why I attended though. A plane trip to Australia. Heck, I would have done a celebratory Riverdance for a tri-fold brochure on the benefits of B12. But in the absence of prizes, I got these business and life lessons instead. They weren’t free, but priceless nonetheless. If you’re a seasoned business owner, some of these lessons will be quite familiar to you, while others might just make you go ‘ooooooh’. Oprah said, ‘My heart is my brand’. She was specific about this. It was her heart. Not her liver, pancreas, spleen or gall bladder. It was her aortic pump. Now, because her heart is her brand and her brand is worth billions, you’d be forgiven for thinking she’s hired surgeons to tattoo or carve the letter ‘O’ onto her actual bloodied organ, or paid them to regulate the beat to match her previous show’s theme tune, or designed a new logo featuring a font that resembles tapered arteries. Her ‘heart being her brand’ actually means that everything she stands for, everything she believes in, every action she takes in every moment of every day, contributes to and creates her brand. I mean, when you think of Oprah, what comes to mind? Self-improvement? Philanthropy? Compassion? Healing? Honesty? Authenticity? Connection? If even one of these qualities comes to mind then her goal has been achieved. So, what’s my practical application of this Oprah business lesson? It’s time to start deciding, defining and reinforcing what we want our business to be synonymous with, so there can be no confusion about what it stands for. With my own business, I hope my brand is synonymous with excellence, professionalism and fun, but it’s quite possible people just think of Mufasa. This comment doesn’t relate specifically to customer service, of course. I was once served by a lady who hated customers so much, I’m pretty sure she put them in the burgers. Service relates to what you do for others, and well, Oprah has done some stuff. Her television programs encourage self-improvement, self-discovery, life changes and life preservation. 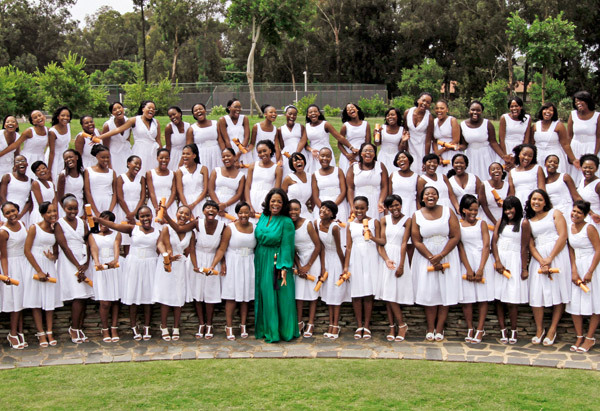 She’s donated millions to various charities, and drives her own philanthropic projects through The Angel Network, The Oprah Winfrey Foundation and The Oprah Winfrey Leadership Academy for Girls in South Africa. ‘I live a fabulous life,’ she said. ‘Not because of wealth or trappings, because I live my best life every day’. As business owners, we might wonder how we can donate time and money when both can be in such short supply. We can’t do everything, and no one expects that, but we can do small acts that make a BIG difference. 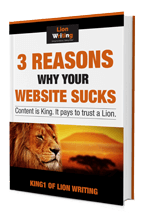 I’ve offered Lion Writing clients ideas to help with their social responsibility efforts. I recommended that my arborist client have a tree planted for every tree he cuts down or works on. He’s now responsible for over 800 trees being planted! Just one small tree has created a forest of change. It’s also contributed in a small way to his business skyrocketing and he received a sustainability award. Other Lion Writing clients donate a portion of their fees to charities such as The Multiple Sclerosis Foundation, World Wildlife Fund and the Cancer Council. Aside from doing pro bono work for some businesses, here are the official Lion Writing social responsibility efforts, and the official Slogan Creator initiatives. NB: If you’re looking for a unique and interesting way to give back to the community but don’t know where to start, get in touch via email and I’ll offer a suggestion or two. There is no cost and I won’t push anything on you. This is just another part of my own social responsibility efforts. If I help you, you help others. It’s win win. Oprah Business Lesson #3: Her name is sometimes Noprah. Yours should be too. A great piece of advice from Oprah: ‘No is a complete sentence’. Many years ago, Stevie Wonder asked Oprah if she’d attend his charity function. Amidst a hectic schedule, she really didn’t want to go. Rather than immediately agreeing, she told him she’d think about it and call back. When she phoned the next day she simply told him she couldn’t attend. She didn’t give him a tonne of excuses or a litany of reasons. She just politely declined. And he was totally fine with it. I must admit, this is one piece of advice I’ll struggle to implement, even though I know it’s excellent. To me ‘no’ is like a severed sentence. A punch to the nose. A kick in the shin. Whereas ‘no’, followed by a three hour explanation via PowerPoint presentation and an interpretive juggling performance seems so much more humane. But it’s clearly something I need to work on. Oprah’s Grandmother’s greatest dream was for Oprah to work as a maid for a nice family, like the family her grandmother worked for – the Johnsons, I think. Well, she was 100% right about that. Back then Oprah was also quite partial to big houses, admiring and desiring them. Fast forward to today: her Californian mansion is so massive that aliens have zoned it as a new planet for settlement. The only thing holding them back is all the laundry. Oprah believes we all have the power to be masters of our fate and captains of our soul, and she recommends asking two questions regularly in order to stay on course. I implemented these questions into my life almost immediately after the presentation, but shortened and simplified them in order to accommodate for limited brain RAM. Every morning as soon as I wake up I ask myself: “Where do I want to be?” and “What will I do today to get there?” I simply visualise an image and come up with one action for the day to get me closer to that picture in my mind. It’s an easy yet powerful habit that can literally change the direction of your life, because you’re investing time and energy in actually charting a course. 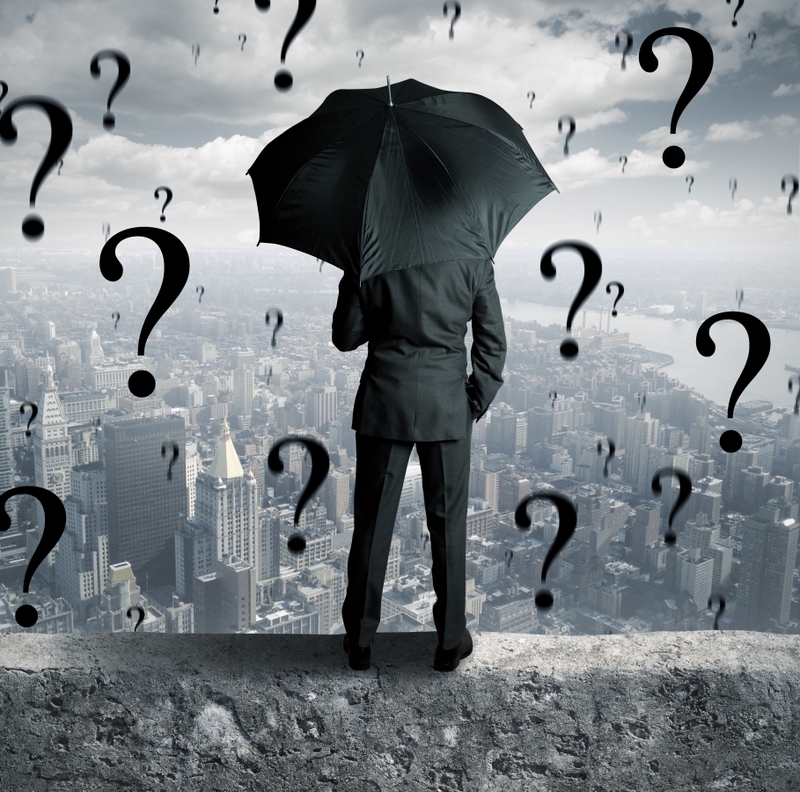 These questions of course relate to all areas of life. Want to lose weight? Learn a language? Play an instrument? 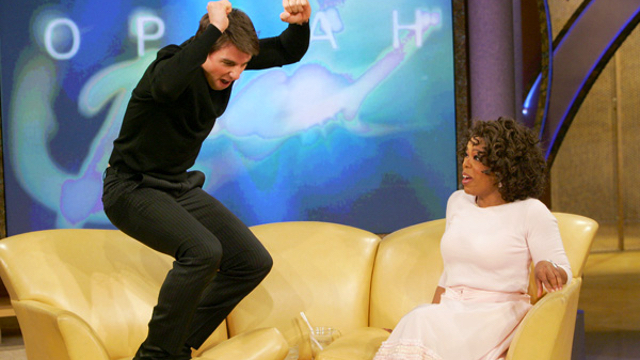 Compete in the Tom Cruise Trampoling Olympics held annually on Oprah’s couch? I’ve looked everywhere but can’t find any teacher by the unfortunate name of Failure, what with ‘Failure’ being the greatest teacher. I’ve visited all the rate-my-teacher websites and questioned a number of people with poor posture. Sigh, I feel like such a failure. Oh, I see what you did there, Oprah. The act of failing can teach us something. I jest. I’ve known for a long time about the benefits of failure. The only difference is that I reframe failure into feedback. Want to be rejected hundreds of times? Decide to be a published author when you grow up. I have voices in my head too, but lucky for you I don’t always act on them, otherwise there’d be a lot of half-eaten people around who once looked suspiciously like chocolate. My gut, though. My spiritual GPS. That, I listen to all the time and it’s hardly ever wrong. 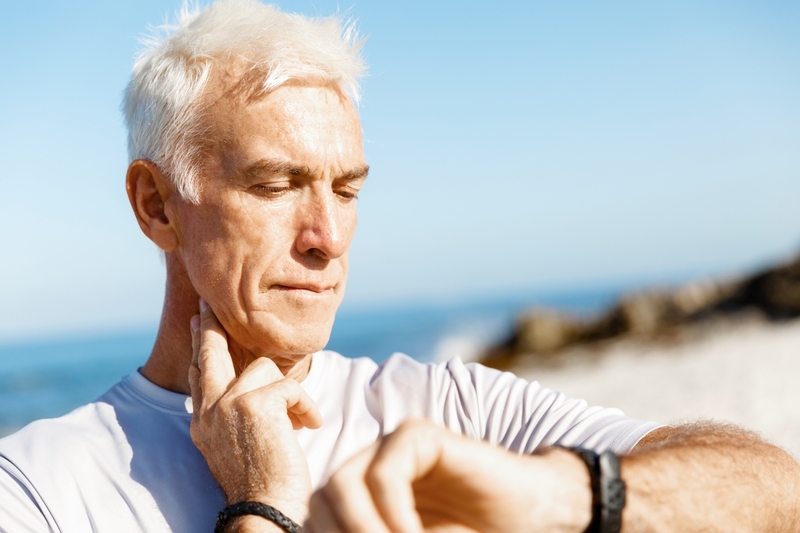 This man’s trying to find his spiritual GPS but has been side tracked by his resting heart rate. Oprah Business Lesson # 8: Be yourself, baby. Authenticity is encouraged these days, even for the quirky-at-heart like me. But it hasn’t always been a loud and proud concept. In her early years in TV, Oprah actually tried to emulate Barbara Walters. Barbara was the gold standard in presenting excellence, so it made sense to be just like her. But one day while on air, Oprah laughed naturally, and as she so eloquently explained, ‘I realised I made a much better Oprah than a better Barbara’. As someone who assesses and visits a lot of websites for my daily work, I agree wholeheartedly about the aching need for authenticity. A website is not just a hub for facts and information, it’s a platform to let your personality shine. 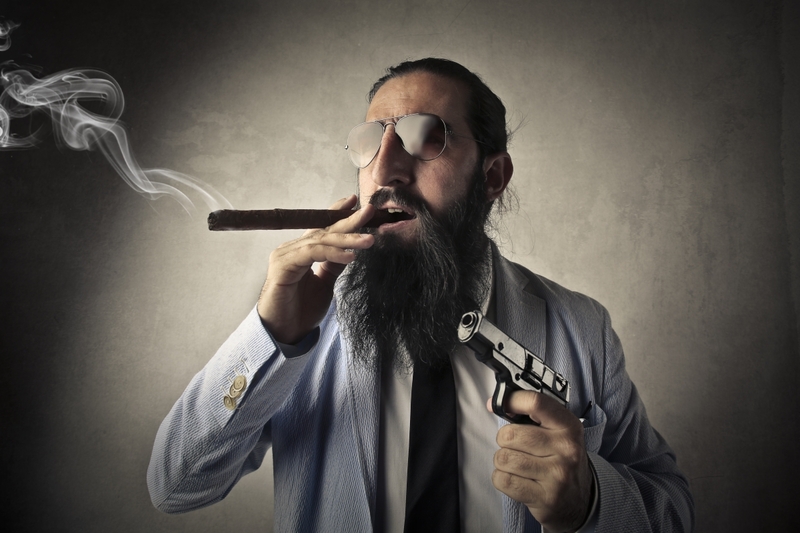 It’s a sales tool, and what better way to sell yourself than to be yourself. Authenticity connects, engages and compels. But of course, authenticity has its limits. I recently visited a lawn mowing site where the writing was so authentic, I wouldn’t go near the business with a 10 foot whipper snipper. If your authentic self is harsh and bossy, maybe it’s time to watch more Dr Phil. There’s authentic, and there’s authentic. Don’t put this photo on your About page if you want be a Tupperware Party Planner. Intentions are a powerful tool. Oprah had a mother on her show whose daughter had been murdered in a domestic violence incident. The mother’s intention for appearing on the show was to tell everyone about her beautiful, much-loved daughter. Oprah’s intention was to help other women in the same situation. They united their intentions and the result was a powerful, life-changing episode. So powerful in fact, it was the first of Oprah’s shows to win an Emmy. From that point on, Oprah told her producers to only ever bring her ideas with a crystal clear vision of the intention. How does this relate to business? Your intention is your ‘why’. WHY are you doing what you’re doing? What’s your purpose? Without a ‘why’ you will struggle with the what, when, who, where and how. In other words, without a solid intention, the foundation of your business and dreams will always be on slightly shaky ground. Despite intention, arguments and misunderstanding are going to occur between family members, friends, colleagues, clients or people who run out of bliss balls. As Oprah believes, the feeling behind every argument is, ‘You’re not hearing me, you’re not seeing me’. She uses that on her shows, and that’s why she connects like superglue with her guests and audience. How does this translate for us? If we really try to see/hear a situation from the other person’s point of view, and acknowledge and understand their words and feelings; we can use empathy to find a resolution, rather than being defensive or jumping to conclusions. If all else fails, have a staring competition. So there you have it, 10 business lessons brought to you by Oprah Winfrey. I hope at least one of them has an impact on your life and business. What are your thoughts? I’d LOVE to read your comments over on Facebook. 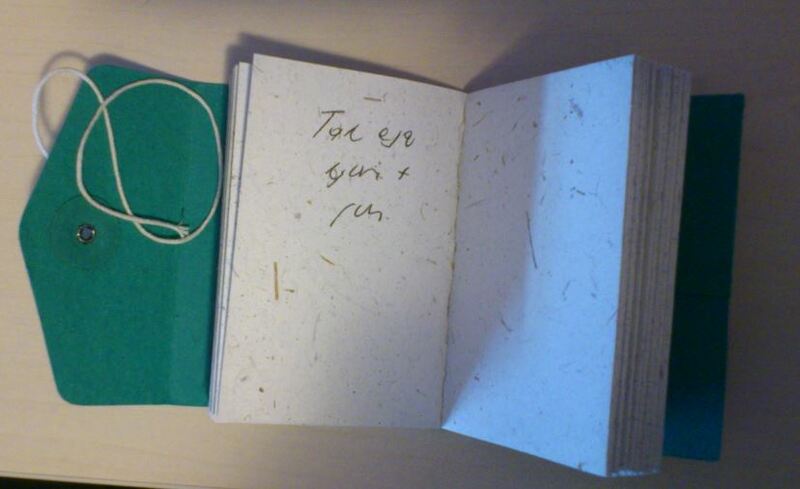 A while back I received an unusually wonderful gift from my friend and colleague, Shona Maitland from Ethically Creative: a notebook made from treated elephant dung. 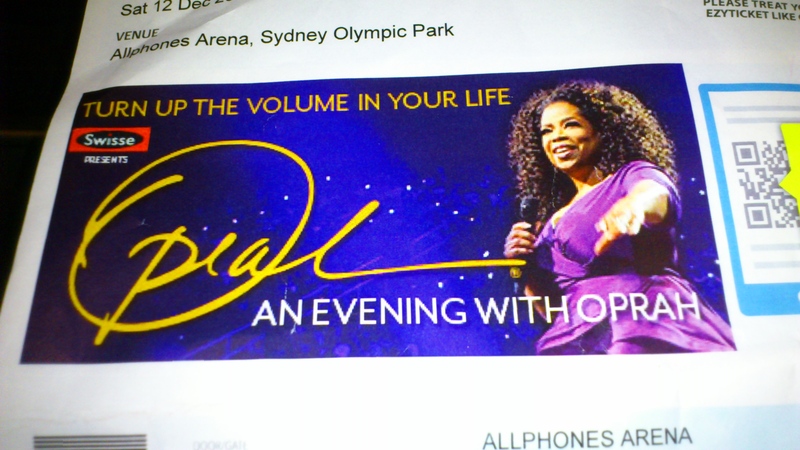 I was saving it for the perfect occasion, which turned out to be my evening with Oprah. The only issue is that I was taking notes at Oprah in the dark, so later I sometimes struggled to decipher my scrawl. If some of my quotes are a bit off, please keep in mind, (warning: terrible pun ahead!) I dung my best. What the?! I basically wrote some of my notes in hieroglyphics.